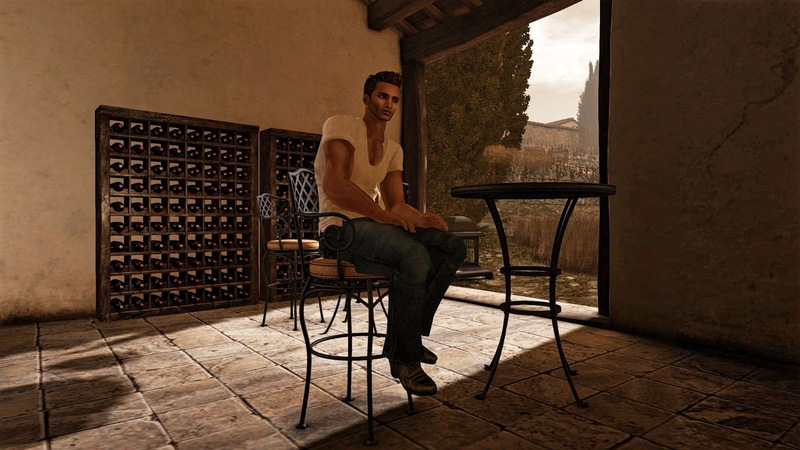 Second Life Destinations keep on getting better. 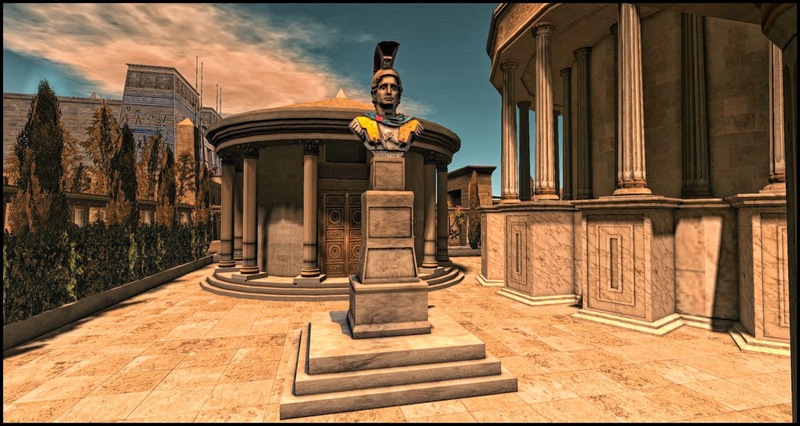 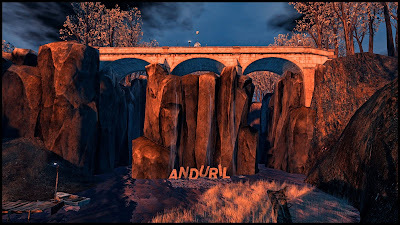 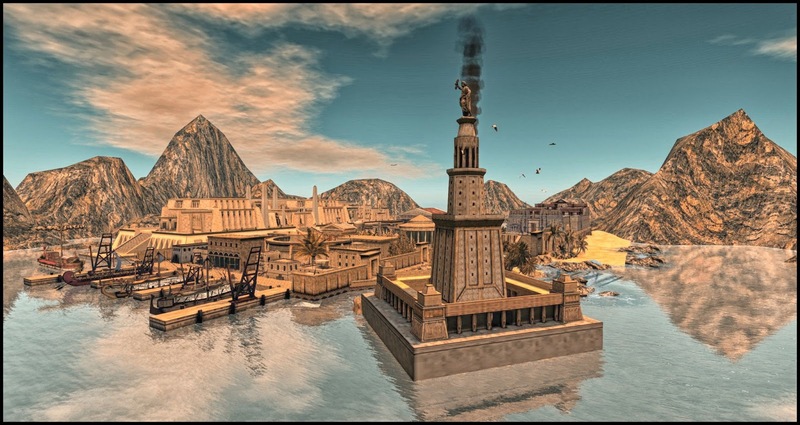 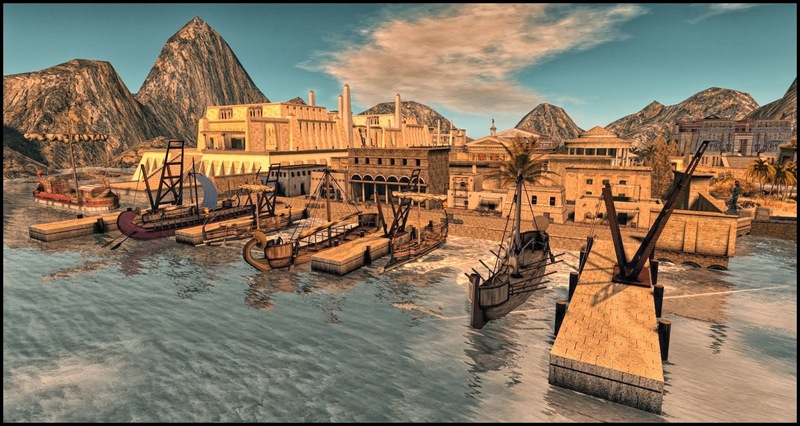 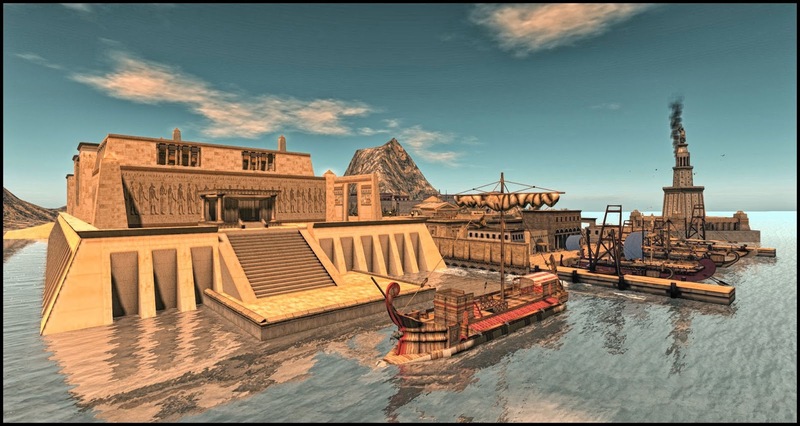 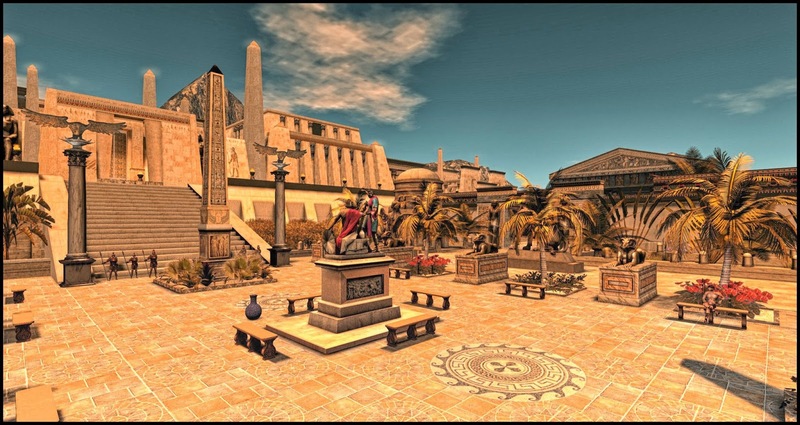 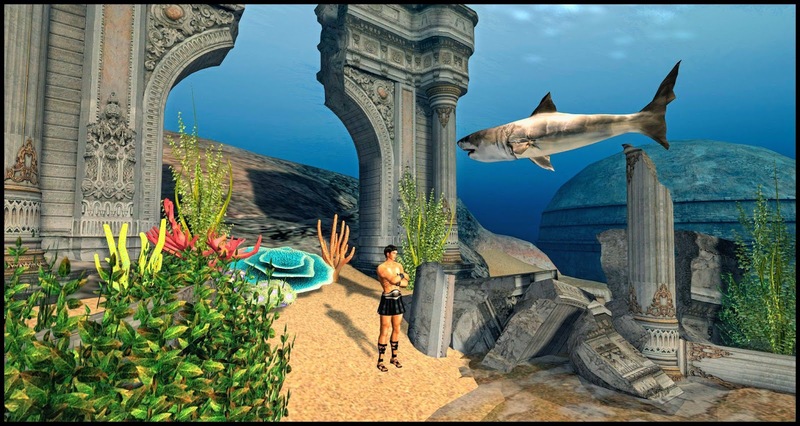 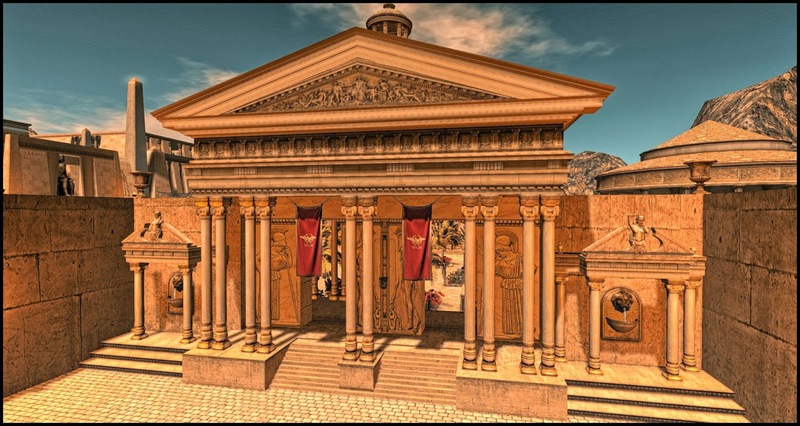 I am convinced that gorgeous new destination such as Anduril reflect pent-up reserves of virtual design energy due to the realization that Second Life is going to be around for a very long time to come. 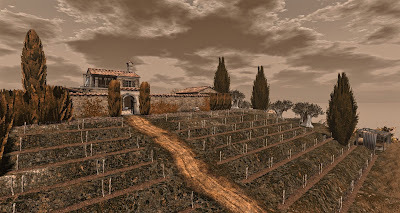 There are visual vistas here, an placements of landscapes and structures, and botanic design elements that make Anduril a pleasure to visit and photograph. 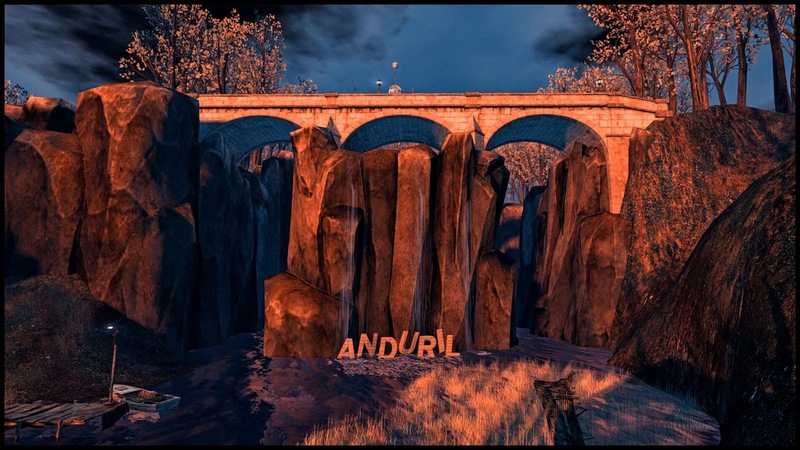 I highly recommend that Anduril be added to everyone's Second Life tour. 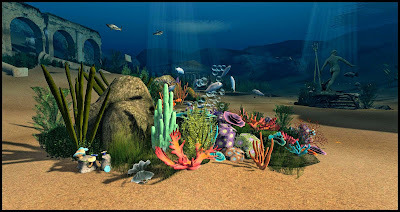 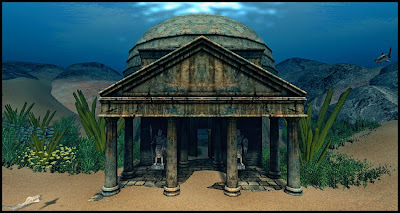 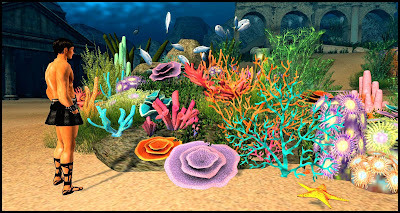 LICK Sim Designs goes underwater and visualizes the mythical City of Atlantis which may lay under the Mediterranean Sea or somewhere in the Atlantic Ocean (beyond the Pillars of Hercules) depending on your views of archeological myth. 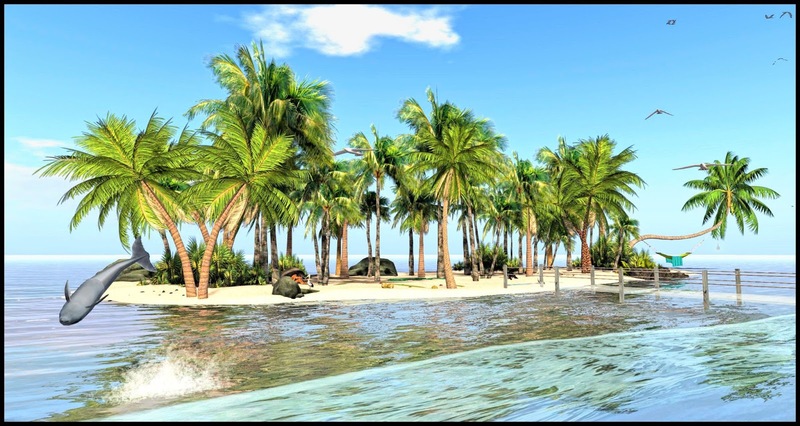 Seabirds and dolphins grace the surface above for those who just want to hang out on a pretty island beach. 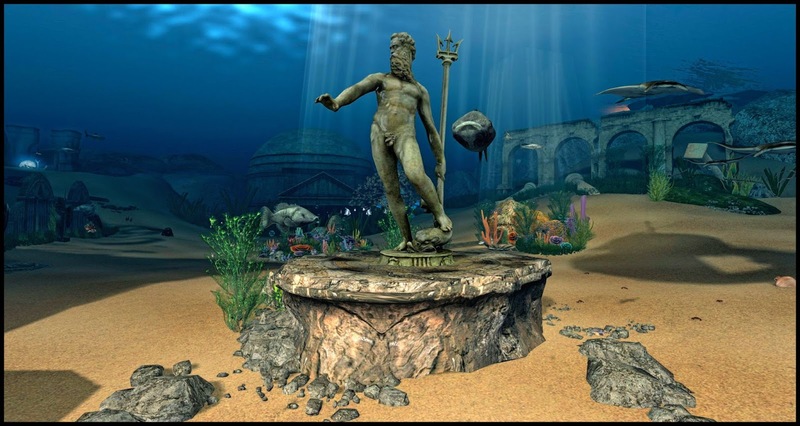 Structures and statues out of an ancient Minoan civilization greet the visitor as exotic plants and sponges decorate a gorgeous ocean floor. Walk over the bridge once you arrive at the arrival island (shown above) and jump through the manhole to arrive at the underwater City of Atlantis. 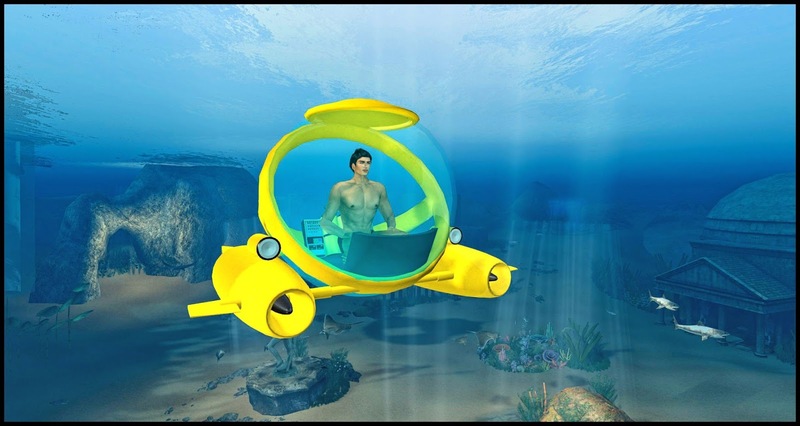 You can rez a Yellow Submarine to explore the underwater city. 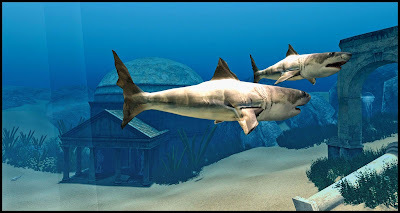 Hungry sharks with foaming blood out of their mouths, which I thought was a very charming touch, may appear out of nowhere complicating your journey. 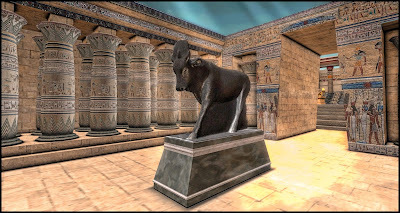 I highly recommend a visit. Alexandreia, located in Egypt, competed with Rome and Athens as one of the great cultural and intellectual capitals of the ancient world. 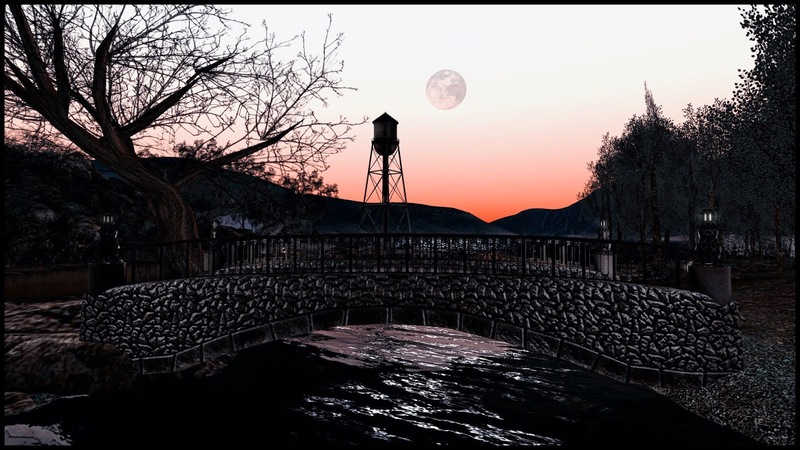 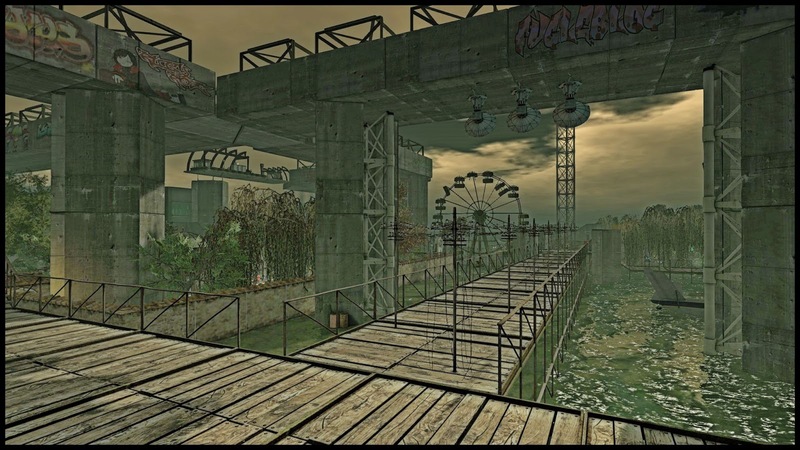 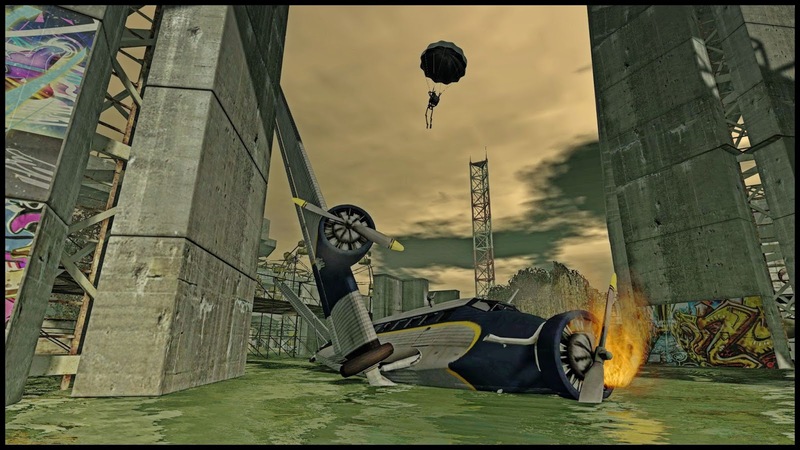 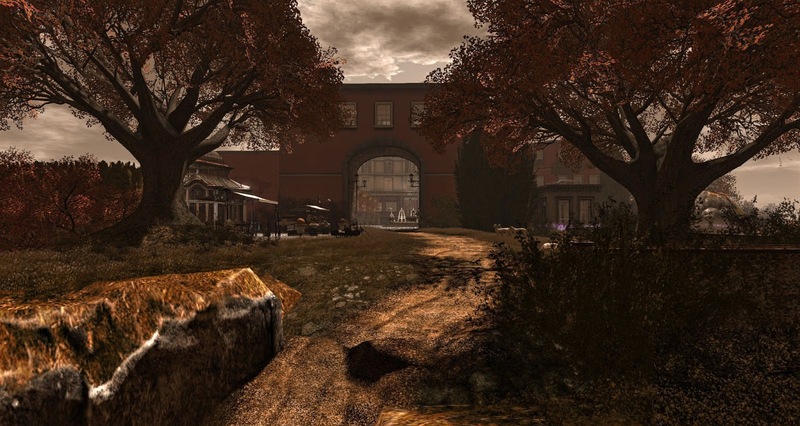 The new region is a highly photogenic role-play destination in Second Life, and one that I enjoyed taking these images in this week. 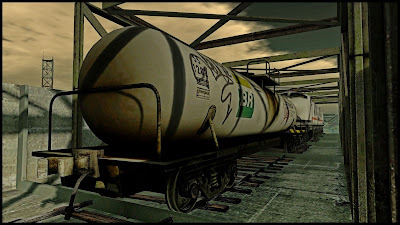 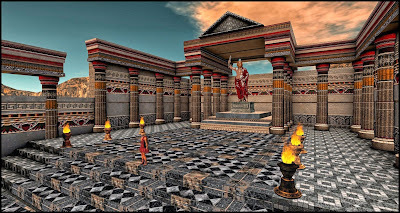 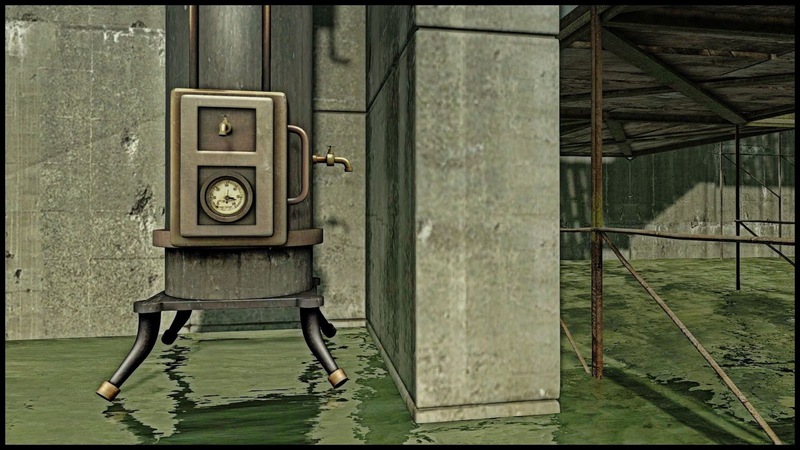 I found the use of textures and attention to detailing one of the best ever in Second Life. 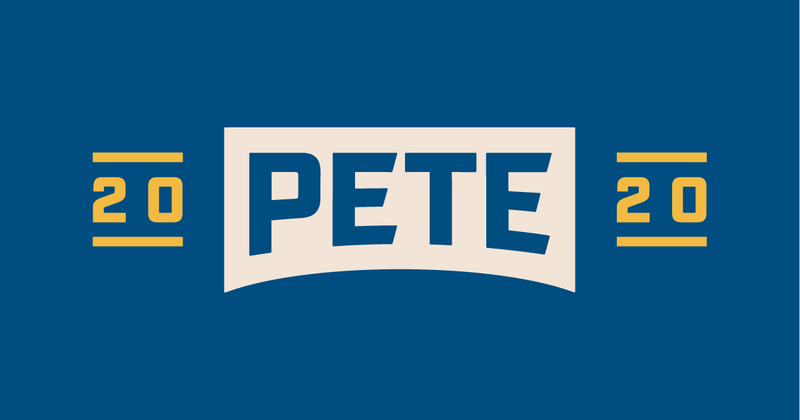 I highly recommend a visit. 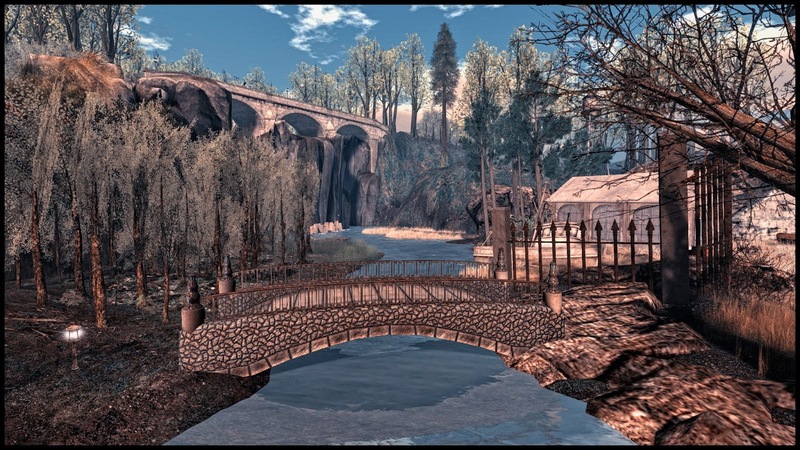 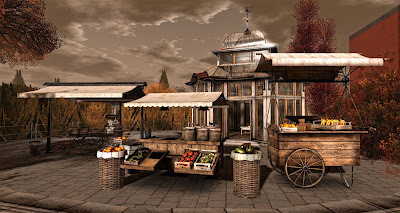 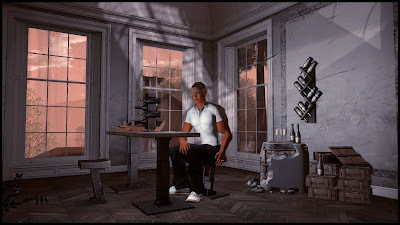 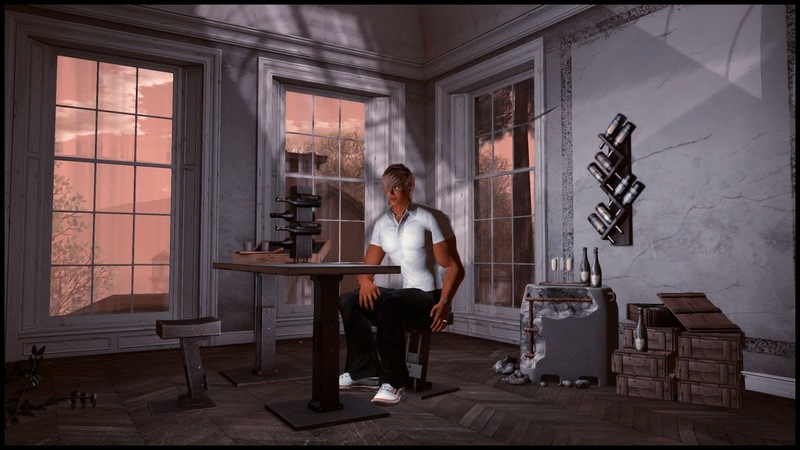 I used Windlight Sky Setting [TOR] MIDDAY - Baskaholic to get a warm golden light and antique burnished glow in these images. 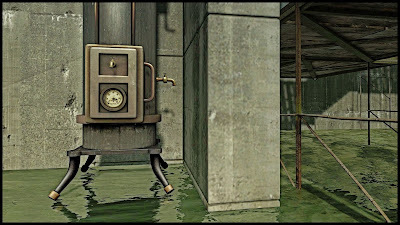 This advanced environmental effect comes standard in Firestorm and some other viewers. 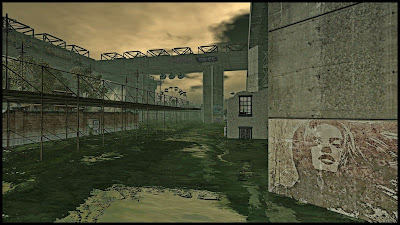 Natural Falls is a series of elevated and sea level concrete structures that have been flooded by some event. 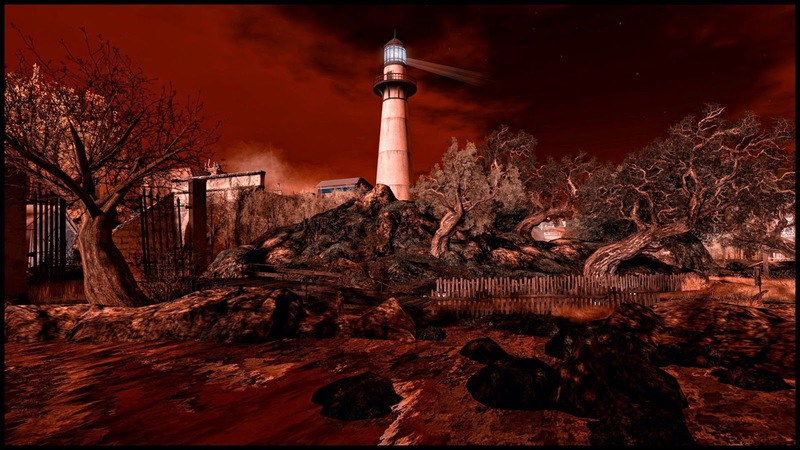 Was it a storm or a post-apocalyptic nuclear attack? The sky resonates with a strange green color, which can just be how things look after some storm or hurricane. But why has an old Ford Trimotor fallen from the sky with its engines on fire? 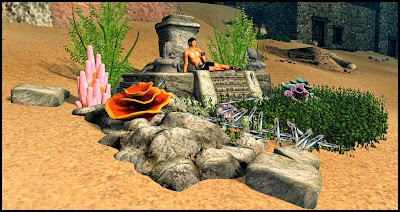 And what explains the huge flowers growing in strange abundance in the park area? This is a very unique destination, and one that I highly recommend you visit. 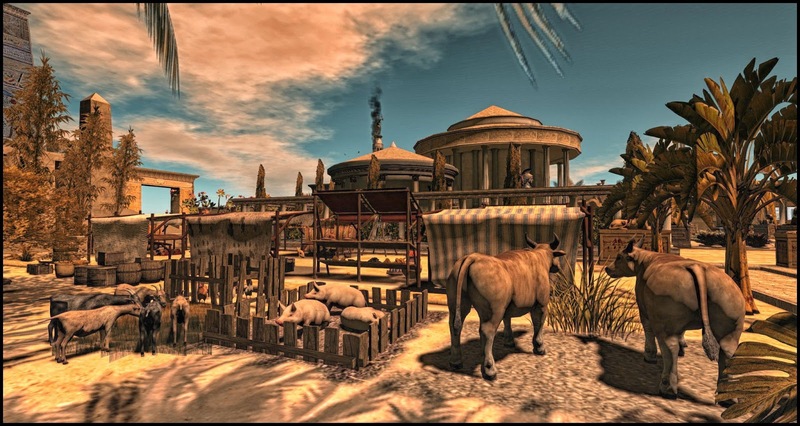 Make sure to visit the floating sky islands which you can visit by following the teleports at the arrival area. 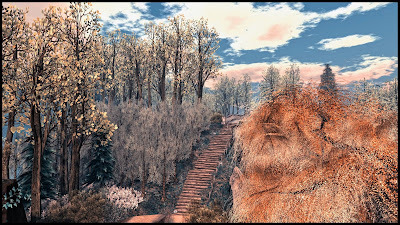 All photography was taken with the Windlight settings already programmed at the destination. 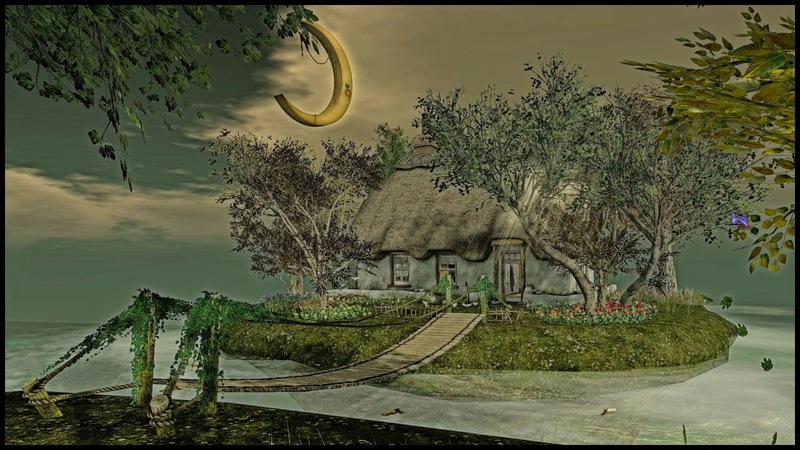 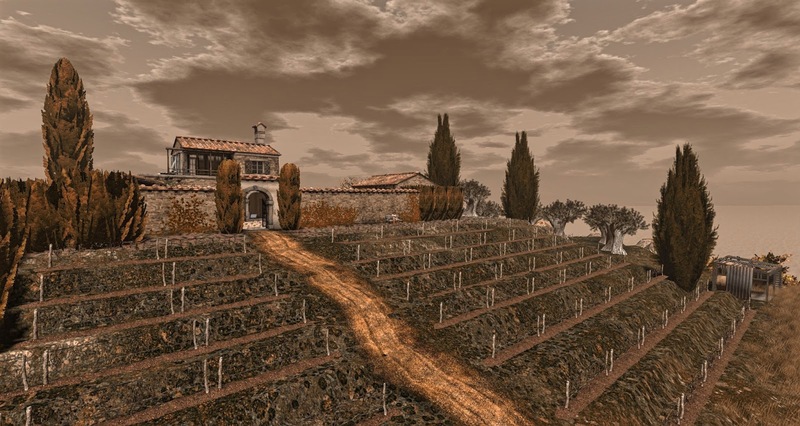 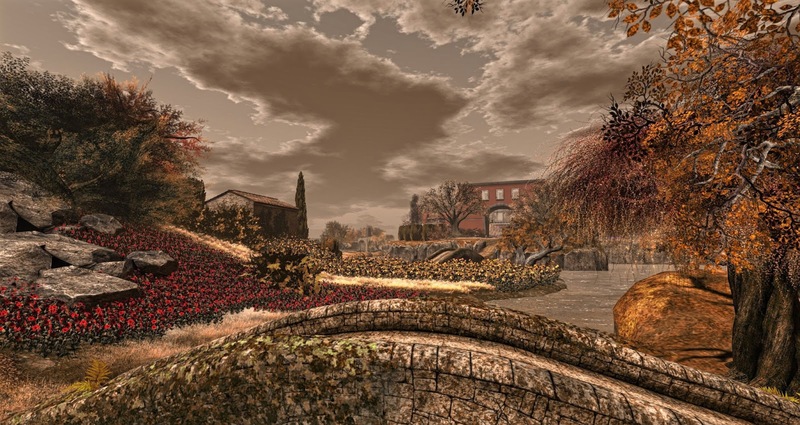 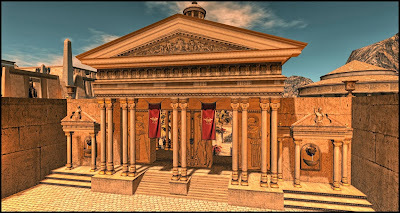 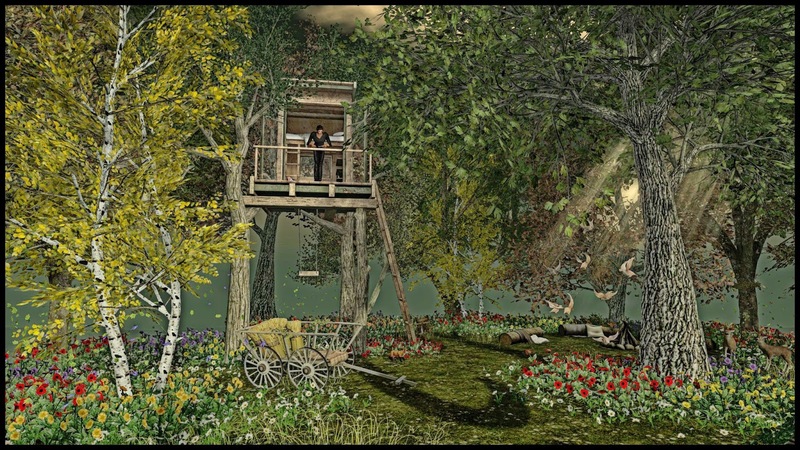 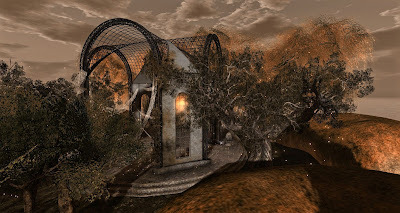 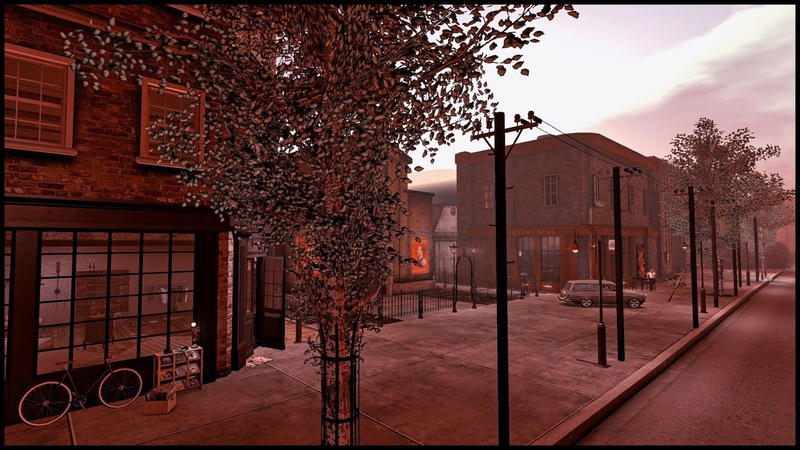 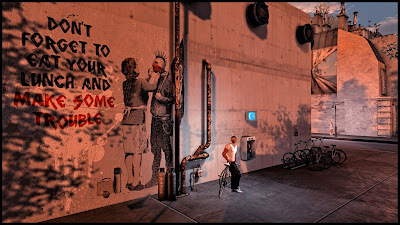 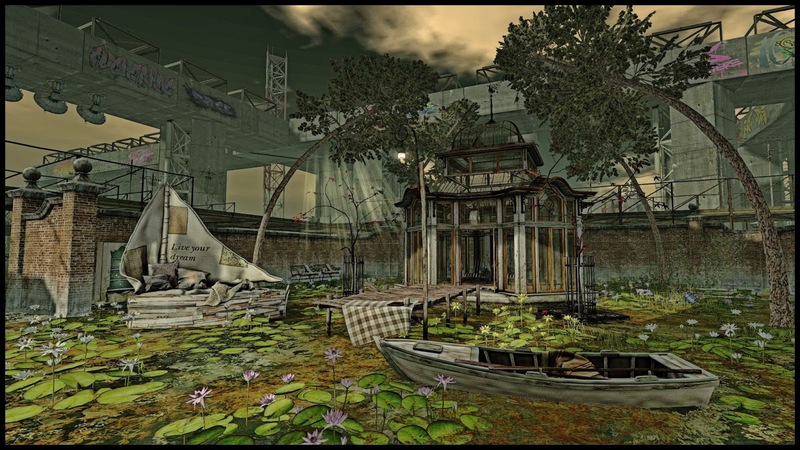 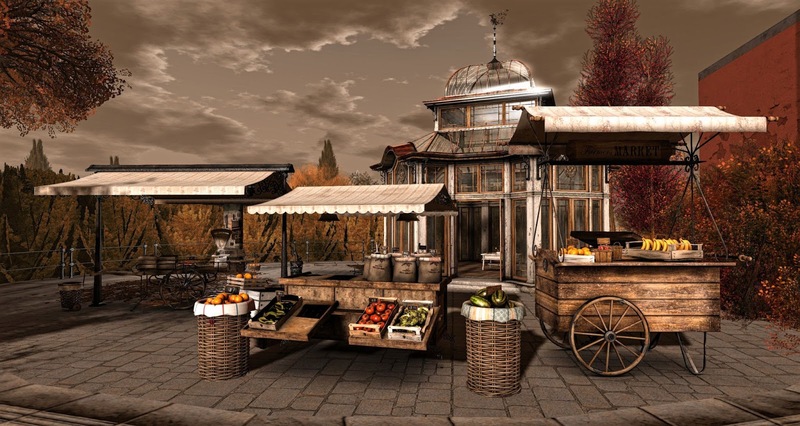 The textures and details at Le Sixieme Sens, or A Sixth Sense, have quickly made this destination a blogger's favorite in Second Life. Benja and I have found ourselves returning here to soak up the Mediterranean sun and enjoy one of the most evocative landscapes in Second Life. Highly recommended for a visit. I used Windlight Sky Setting Verdigris and Windlight Water Setting Glassy in these images.